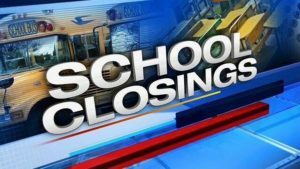 A threatening message that was sent from a yet unknown source caused the closure and cancellation of all classes in the Los Angeles Unified School District. Even though no actual attack has, luckily, taken place, and no real threat actually materialized, the disruptive effect of the threat itself was significant, and its ramifications will probably continue to reverberate for weeks to come. This is yet another demonstration of the painful fact that while terrorist attacks remain statistically a rare occurrence, the true “terror” may actually arise from the disruptive nature of threats, getting in the way of our daily lives and causing an enormous psychological, administrative and economic damage, as millions of people try to cope with the multiple effects of these threats on their daily routine, work, commute and the sense of personal and communal safety. In today’s super-fast, and super-sensitive universe of interlocked media outlets – both “traditional” and new, a single tweet, a single email, a whispered word – generated by either a real terrorist or a hormonally-imbalanced teenager, can result in a chain reaction whose consequences are difficult to foresee. One lesson is immediately apparent from this incident: officials, and administrators, are being called upon now and will probably be called upon increasingly more so in the future, to make very quick and hugely impactful decisions, based on partial intelligence, and measured against the assessed credibility of threats – all skills they are probably not fully trained for. This is going to be a new area of expertise that top administrators will have to master, and fast. Click on the audio link below to listen to Johnathan Tal, TAL Global’s Chief Executive Officer, discussing decision making during crisis, in an interview with NPR station KPCC.